We have 14 shapes you can choose from. Rectangle, circle, triangle, angle, ring and many more. 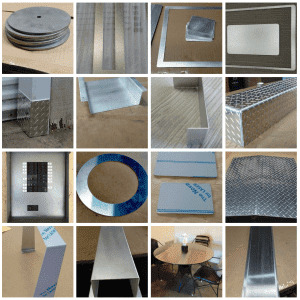 To get a price you will need to select the sheet metal, surface and thickness and then select the shape you need. Enter the measurements in inches that describe the shape and click on calculate.